Jasmine is a director, writer, producer, and actor from Detroit, Michigan. As a narrative filmmaker she has written, directed and produced media for various clients via her company Anawim Productions as well as four narrative films, including her latest, Nain Rouge, which won thesis honors at Columbia University as well as numerous awards for Best Short Film and Best Director at film festivals around the country, including the Uptown/Detroit Independent Film Festival, Great Lakes International Film Festival, the Frankfort Film Festival, the Detroit Windsor International Film Festival, the Lake Michigan Film Competition, and Cinetopia International Film Festival. She is currently working on a new documentary, Sisters in Justice, and her fifth narrative, American Prophet, set in 1968 Detroit to be shot in 2014 as part of a feature-length film. Jasmine is the recipient of the Loreen Arbus Scholarship from the New York Women in Film and Television Organization and was a Junior Professional Media Fellow at the United Nations University. A recipient of the prestigious 2014 Kresge Arts Fellowship Award, she earned her Masters in Fine Arts in Film Directing at Columbia University in the City of New York. James J. Yi is a passionate filmmaker who has thrived in the independent film world for over 10 years. He has lived and produced in San Francisco, Los Angeles, Seattle, and Detroit as well as working on various film and commercial projects from all over the world. Over his career, he has worked in a variety of positions from DP to Editor to Director, eventually leading to the path he is currently on as Producer and Line Producer of independent feature films. His desire to work with the most innovative directors and cutting edge technology while pushing creative and intellectual boundaries has helped him build a strong reputation as a champion for independent film. Works produced include Twinsters, Man-Up!, Detroit Unleaded, Nain Rouge, Mooz-lum, Bilal's Stand and numerous other films. In addition to American Prophet James is producer of the upcoming documentary Dark Progressivism: On Rupture and Rebellion. Owen has been a producer and editor of film, television and multimedia for nearly two decades. As a live-television director he has helmed programming for CNBC, CNN, and ABC. As a broadcast, streaming, and new media consultant his clients include Standard & Poor's, ABC News Productions, and McGraw Hill. He was a producer at Wall Street Journal Television and multimedia editor for the Dow Jones Investor Network. He has been the Director of Broadcast Services for the American Stock Exchange and a producer/editor for Business Week TV. A member of the Editors Guild, he has cut documentary series and specials for networks including ABC, A&E, TLC, National Geographic, and the History Channel. Owen has also produced award winning short films, web casts, and music videos. Owen recently produced the narrative feature Plato's Reality Machine, which was indieWire's Project of the week, and the 2012 Independent Lens documentary More Than a Month with support from ITVS and Sundance. In 2013 he was the series producer for "The March@50" for PBS Global. He is currently co-directing a documentary about the dissolution of the KKK inMaryland, and currently producing a series of short documentaries for PBS. Suzanne Sattler, IHM, is a retired Detroit attorney who focused on poverty law and non-profit organizational development for her 35-year legal career. Currently she serves as a planning assistant for the IHM Office of Sustainable Campus Planning and serves on several non-profit boards of directors in Detroit. Sister Sue joins the American Prophet team as the Community Advisor, helping to connect thproduction with local groups, non-profits and resources to ensure that the project stays true to its local roots while serving the larger Detroit community. Sister Sue is a member of the Sisters, Servants of the Immaculate Heart of Mary (IHM) order, whose work in Detroit plays an integral role in the storyline of American Prophet. Geoff George is a cinematographer, photographer, and camera professional from Detroit, Michigan. He has worked on numerous short films and feature-length films as a Director of Photography, First Camera Assistant and 2nd Unit DP. As a fine art photographer, he has explored historic industrial sites across North America and Europe, and exhibited in New York City and Turin. Geoff and Jasmine last collaborated on the award-winning film Nain Rouge, which also received nominations for Best Cinematography at the Michigan Film Awards and Detroit Windsor International Film Festival for Geoff's work. Dale Rominski, LMSW earned both his undergraduate degree and Masters of Social Work at the University of Michigan. Dale currently is a clinical social worker with the University of Michigan Regional Alliance for Healthy Schools (RAHS), sport counselor for the University of Michigan varsity men’s ice hockey team, guest lecturer for U of M’s Sport and Social Work course, and an instructor for USA Hockey coaching certification program focusing on coaching philosophy and strength-based coaching. 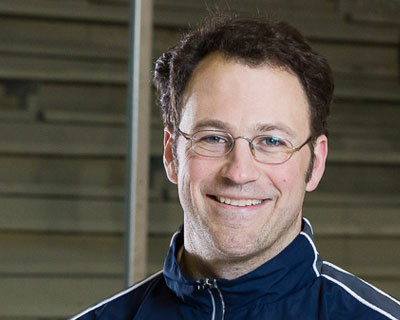 His athletic career includes playing varsity hockey at the University of Michigan winning two NCAA titles in 1996 and 1998 as well as a stint with the NHL’s Tampa Bay Lightning. Dale also has 15 years of coaching experience as a private hockey instructor training athletes from 3 years of age to professional adults, most notable coaching the Detroit Red Wings in preseason practices prior to 2013-2014 season. Kirstin Bianchi’s hallmark work as Costume Designer is the heartbeat of memorable shows in Detroit theatre. Since earning her BA in Theatre Production from Oakland University in 2004 where she specialized in Costumes and Props, Kirstin’s work has created award-winning worlds on stage, including Wilde Award nominations for Planet Ant Theater’s November and Fast Times at Nazareth High, Matrix Theatre Company's Collected Stories, and wins for Salvage and Hamtown Races, both at Planet Ant. A true Renaissance Woman, Kirstin also has feature film credits that include work with North By Northwest Entertainment in both the Art and Wardrobe Departments, is an accomplished Props Master, Wardrobe Stylist, and Executive Assistant, practices T'ai Chi Ch'uan, makes custom truffles for her side business “Loves Truffles,” and shares her home with pet rabbit, Jake.